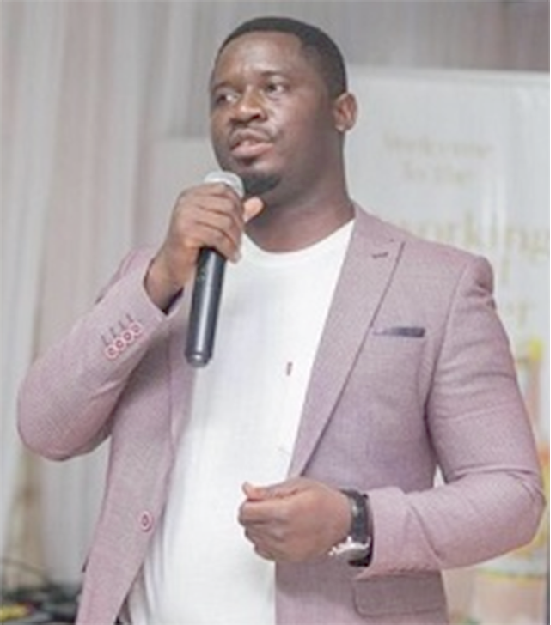 The Managing Director of Liberty Industries Ventures, Mr Francis Afotey Mensah, has urged the government to ensure that local firms receive the needed support to expand their operations instead of focusing on bringing in new investors. He explained that the success of local companies contributed to the expansion and stability of the economy since profits gained by them remained in the country. "The government must make it a priority to support indigenous companies in the form of tax incentives in order to help them to expand their operations," Mr Mensah said this to the GRAPHIC BUSINESS on March 11 in Accra, when Richard Commey, the current IBF lightweight titleholder, paid a courtesy call on the company. Consequently, Liberty Industries Ventures, which is the sole manufacturer of the locally produced acoholic beverage ‘Kpoo Keke’, donated GHȼ10,000 and other items to support activities of the boxing champion. The Chief Executive Officer (CEO) of Liberty Industries Ventures, Nii Botswe Laryea II, urged Richard Commey to strive for excellence in order to keep the IBF lightweight title. “In everything you do, know that you have the prayers and the support of Ghanaians, from top to bottom standing strongly behind you,” he said. He, however, expressed confidence in the prospect of the budding champion by referring to the pronouncements of former world champions, Azumah Nelson and Ike Quartey, that Commey was on the right path to become the next Ghanaian world boxing champion. On his company, Nii Laryea said Liberty Industries Ventures, one of Ghana's manufacturing company, was committed to the Ghanaian market and would continue to introduce products to serve its customers better. “The company mainly distributes the domestic brand of Kpoo keke throughout the various regions in Ghana with the everyday quality drink priced moderately in order to be affordable for the ordinary Ghanaian. “Liberty Industries Ventures is dedicated and committed to bringing enjoyment to its consumers around the world with the help of the special traditionally brewed drink, Kpoo keke,” he added. Mr Commey thanked the management of the Liberty Industries Ventures for the gesture. He called on other corporate bodies to assist boxers to secure good deals that would propel them to become champions just like him. "Some boxing managers and coaches enter into agreements without the consent of the boxers. This phenomenon does not help the boxer. “The government, the sports ministry and the Ghana Boxing Authority must look at that aspect and deal with it. If dealt with, the country would have more world champions," he added.